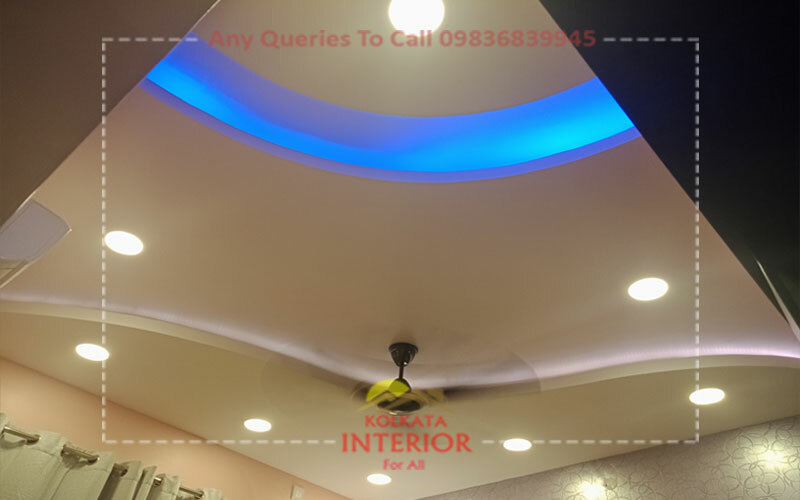 Kolkata Interior offer our customer requrements bedroom designer ideas & complite 2D 3D designing & decorations services, Bedroom wardrobe, bed, side tables, dressing table designs ideas & manufacturing services. 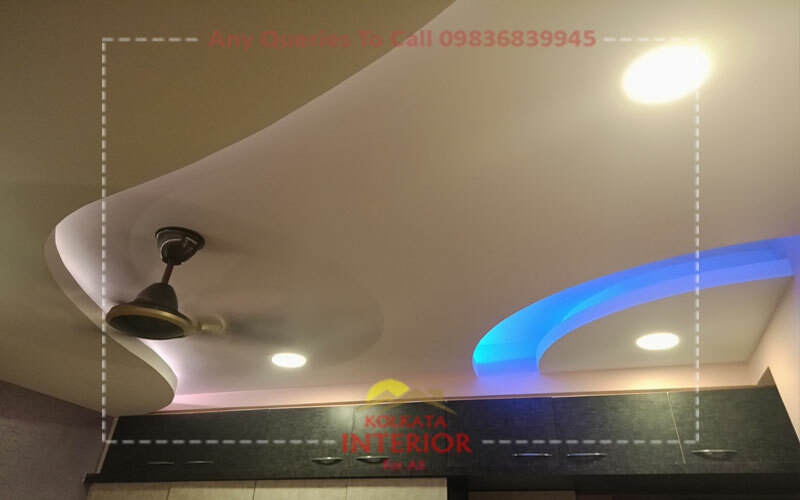 Door frame window laminates, Bedroom false ceiling lighting design ideas decorations services, Bedroom wall ceiling painting services. 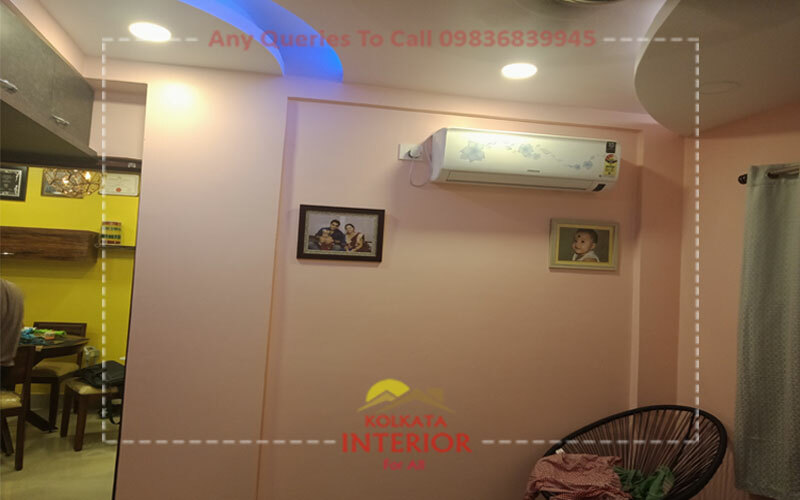 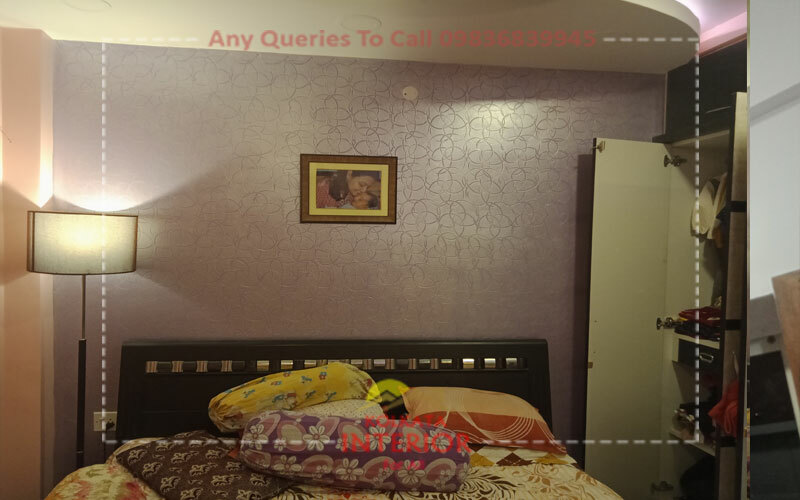 We Create This Bedroom Project Rajwada Grand, Block C, 5B, Mr Pankaj Das Apartment, Customer Requirements 10ft by 11ft, 110sqft Complete False Ceiling & Lighting. 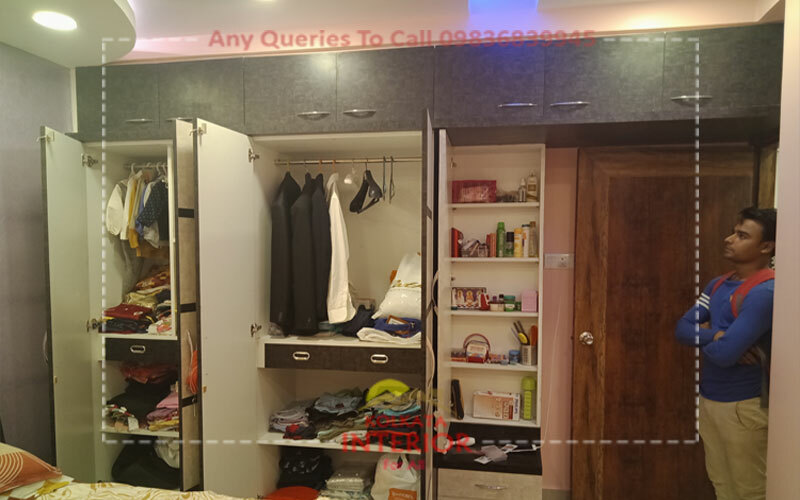 Bedroom Wall to Wall Wardrobe & Dresser Unit. 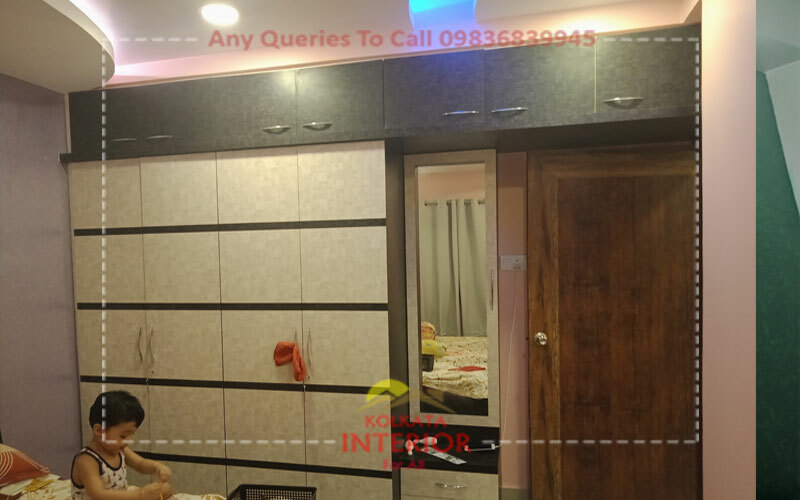 Door & Frame Laminates. 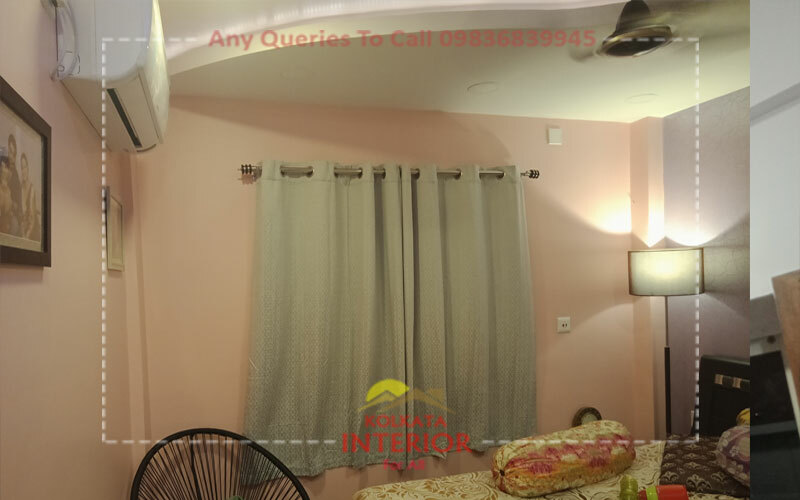 Window Curtain. 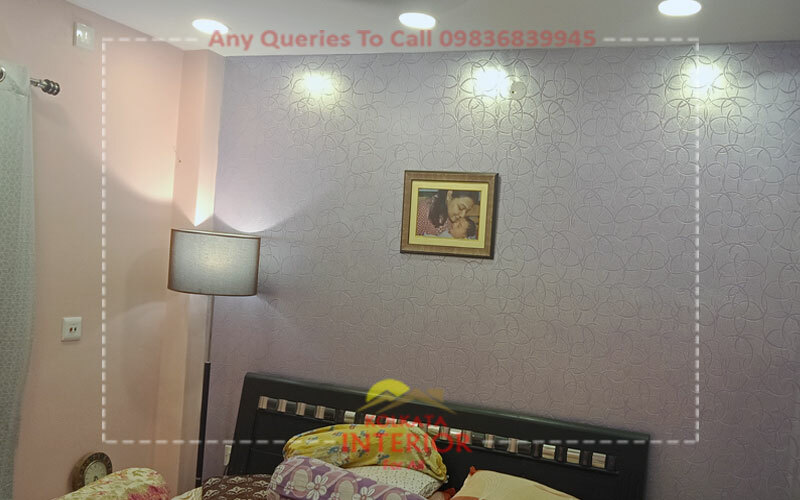 Complete Painting with Texture this project.